The cohort saw a 5-year survival rate more than triple that for patients undergoing standard-of-care treatment. The cohort saw a 5-year survival rate more than triple that for patients undergoing standard-of-care treatment noted in the National Cancer Institute (NCI)’s Surveillance, Epidemiology, and End Results program (SEER) database. SEER rates for patients with advanced NSCLC are 4.9%, compared with 15% and 16% among study participants with non-squamous and squamous NSCSLC. The authors compared study participants’ survival rates with historical SEER data because the trial had not been randomized. Sixteen study participants survived at least 5 years. Twelve saw partial responses (PR), 2 had stable disease (SD) and 2 experienced disease progression as best response. Eight completed 2 years of treatment without adverse events, but treatment was discontinued for 4 patients because of side effects. Data on study participants’ tumor PD-L1 status were incomplete, but among those for which they were available, PD-L1 status was not clearly associated with survival, Dr Brahmer noted. 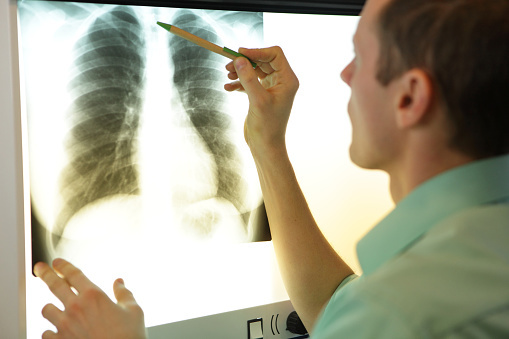 Do Medicare Regulations Impact Lung Cancer Screening Rates? Shorter sleep duration is associated with increased risk of fatal prostate cancer in younger men [news release]. Washington, DC: American Association for Cancer Research; April 3, 2017. http://mb.cision.com/Public/3069/2224884/ a4bac94ff66eedce.pdf. Accessed April 4, 2017.